Whether you're out for a sprint, or you're going the distance, this short-sleeved skin suit will keep you supported and comfortable. 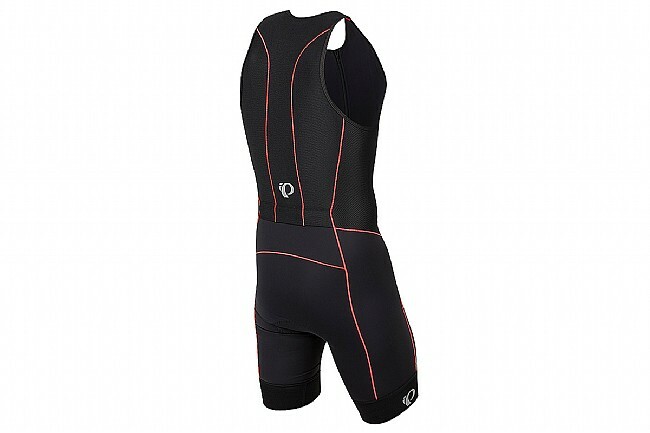 Featuring a mix of Pearl Izumi's technical Elite Transfer fabrics, the Elite Pursuit Tri Suit provides superior comfort and UPF 50+ sun protection. With the In-R-Cool fabric through the core, the coldblack® fabric provides superior cooling through its sun-reflecting properties. Elite Transfer Aero fabric is strategically placed over the shoulders and back hold the airflow tight across your body for optimal aerodynamics. Inside, the quick-drying Tri-specific chamois disappears on the run, yet keeps you supported while you dig in during the ride. Out back, dual envelope-style pockets provide easy access to your bars, gels, or other race-day essentials. 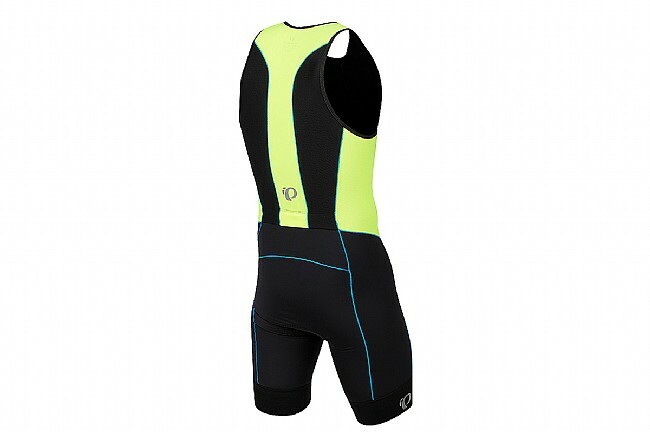 Short sleeved tri-specific skin suit features ELITE In-R-Cool fabric for all-day comfort. ELITE Transfer Aero fabric is strategically placed for superior aerodynamics. 11.5" zipper provides ample room for customizable ventilation. Tri-specific low-profile quick drying chamois. Plush elastic silicone leg gripper.